Trap intended for capturing and monitoring the presence of peach twig borer on peach and apricot trees. 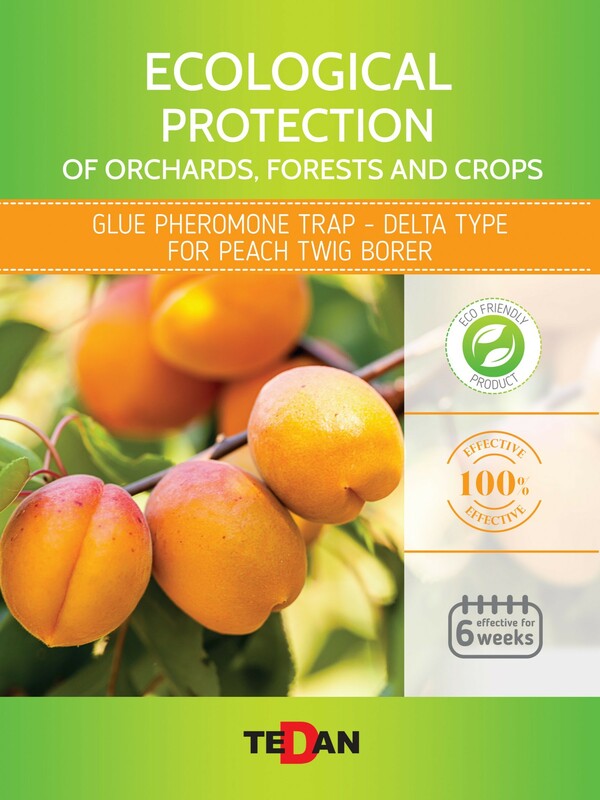 Trap intended for capturing and monitoring the presence of peach twig borer on peach and apricot trees. Pheromone dispenser emits a smell luring the females, it has to be exchanged every 4-6 weeks. The trap does not include insecticides and other harmful chemical substances.